CAMERA READY: Edwards (second left) and Beckford (right), with guests at the opening of J'ca Festival Festival, 2015. The emergence of the Jamaica Film Festival last summer offered a terrific platform for talented local filmmakers to showcase their work to a wide and appreciative audience. 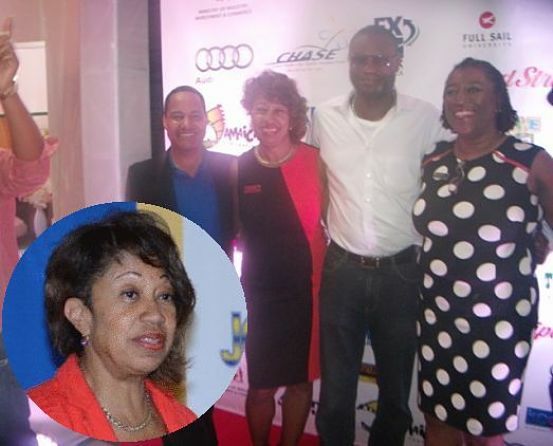 President of Jampro, Diane Edwards admits, however, that the establishment of a film fund would go a far way in yielding more tremendous results for the industry. “As you know, Jampro has long struggled and advocated for a film fund because financing is one of the key issues holding back our local filmmakers, and we have got to solve that problem one way or another,” Edwards tells TALLAWAH. Last year’s inaugural staging featured a wide assortment of workshops, think-tank sessions and screenings at venues all over Kingston, spearheaded by film commissioner Carole Beckford and her team. Among the notable developments in the milieu of the film festival is the employment of Renee Robinson as film commissioner, replacing Beckford, who has moved on to greener pastures overseas. 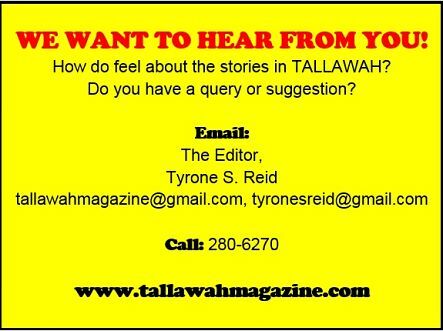 Efforts by TALLAWAH to interview Miss Robinson proved futile, but Edwards tells us she comes highly recommended. “Our new film commissioner is a strong practitioner versed in the arts of developing film festivals,” says Edwards.